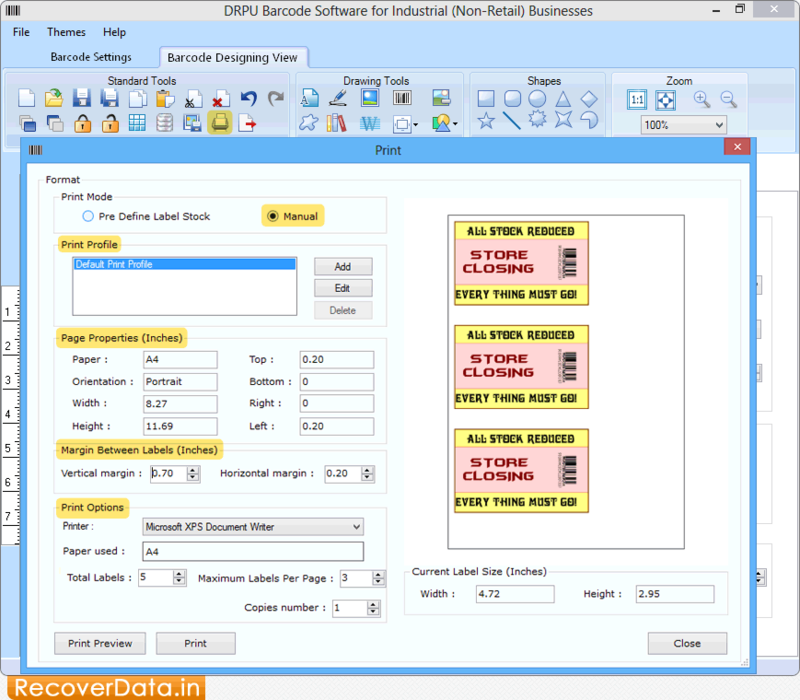 Barcode Label Maker for Industrial Business enables you to design and print different types of barcode stickers, tags, labels, coupons and rolls to track product details. Barcode Maker software has inbuilt various designing objects such as pencil, line, text, ellipse, picture, arc and other objects to create various kinds of barcodes images for industrial manufacturing and warehousing industry. Barcode Label Maker for Industrial Business generates linear as well as 2D barcode labels, products stickers and tags. Allows you to make multiple barcode images using barcode batch process. Provides inbuilt color settings to create colorful barcode images. Creates multiple copies of barcode images with different barcode and text value using advanced dataset series feature.